Unlimited WiFi Router in japan. The Most Competitive Price in Japan! Get Online Anywhere in Japan. Free Shipment for Pickup and Dropoff. Pick up at the location you want, drop it in any post box in Japan for return. Try the most popular pocket WiFi in Japan! You can get online anywhere. 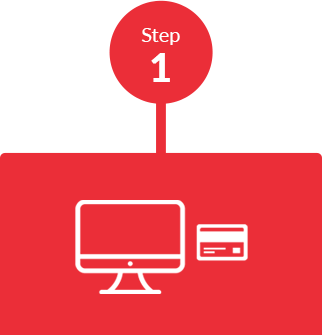 Connect simply by turning on the device and entering password. The pocket WiFi is a portable WiFi router which just fits in your palm. 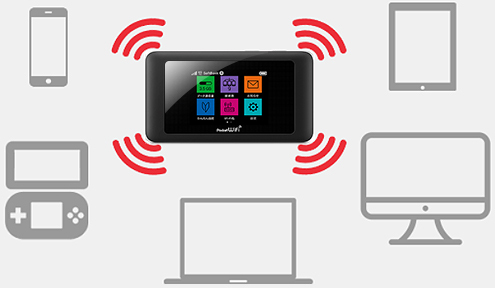 This portable mobile WiFi enables you to have unlimited wireless internet access. Pocket WiFi transforms 4G connection into a private signal and it becomes your own WiFi hotspot. Technically more than 10 devices can be connected to one pocket WiFi. However, connecting up to 5 devices is recommended for enjoying high speed internet connection. You can buy Japanese SIM card before/after you arrive in Japan. However, it is expensive and data usage is usually limited to few Gigabytes. You must have unlocked phone or you won't be able to use SIM card. Roaming can be simple option. However, it is not affordable especially when traveling for a long term. Besides, the speed of internet can be slower than you expect. Some places such as cafe and hotel offer free WiFi service. Most places don't provide free WiFi services. Connection is usually unstable and it is not secure. Apply through internet by 5 p.m.(Japan time), at least 2 days before your pick-up date. You can use PayPal or credit cards. 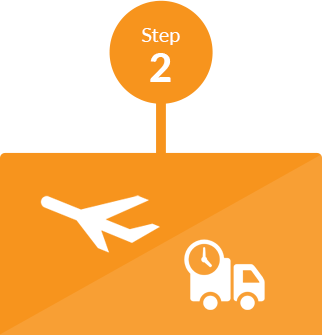 Pick-up your router at post office or designated delivery counter at airport. *Please check business hours of post office and delivery counters. 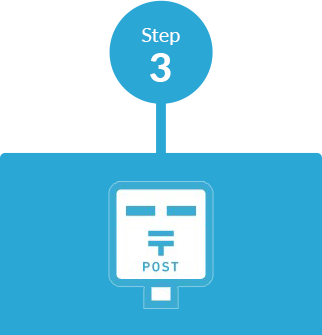 For returning, put all rental items into provided pre-paid return envelope and drop it in any post box in Japan. It was very easy to order and use. Just picked it up at airport and dropped off at post box. Wi-fi signal was good all the time but I needed to change to standard mode in subway stations. But it was not a big deal. I enjoyed much. Thank you! Perfect service and speed. The router looked very new. Ordered two because me and my friend had different plan. I got black one while my friend got white one. Think color is random. Used almost for a month and could really enjoy it. Everything worked well and service was also perfect. It was very easy to order, use and return. WI-FI signal was also stable all the time. Didn't have any problems, willing to use here again. I was happy about price, internet speed, and free shipping service. Everything was easy. Pick up, use, drop off.... I recommend wifi rental japan if you are looking for cheap and reliable mobile Wi-Fi router in Japan. Connected 4 mobile phones and 2 laptops but worked without any problems. I didn't have to wait for picking up pocket WiFi at Shinjuku store, it was already ready to be handed to me. I will use wifi rental japan next time too. Thank you! We had 3 phones and 2 tablets connected to one pocket wifi but we were happy about wifi speed. The price was also reasonable. Though it's not written on website, I could use mobile router for a month with reasonable price. They provided the process how to rent for a month and it was very easy. Router worked great and will definitely use here again next time I come to Japan. I traveled from Tokyo to Kyoto and pocket wi-fi didn't disappoint me. What I liked most was free shipping service, I got prepaid envelople(for return) when receiving pocket wi-fi. About battery it lasted 6-7 hours and there was no trouble while using it. Worked flawlessly all the time. I didn't have any issues related to wi-fi connection. Speed was also great though I needed to change to standard mode underground like subway. I would definitely use here again next time I come to Japan. It was my first time to visit Japan and pocket wifi really helped me on my travel to Japan. The speed and quota of data was excellent. It was great to have unlimited data so that I didn't have to care about it. Customer service was good too because I could get prompt response by email. It was easy to order, pick up, use, and return. wifi signal was good and stable. When I contacted them through email to ask which pick up location is better for me(airport or hotel) I could get answer within few hours. Can definitely recommend wifi-rental-japan to others. We got pocket WIFI at Narita airport post office and it worked well without any issues. There was a letter envelope in a rental package and we could use it for return. Just dropped it off at airport again before we left Japan and it was very easy. I shared one pocket Wi-Fi with 3 other friends and the speed still was excellent. It didn't have any issues even when more than 5 devices were connected including my tablet. I will use this company again for sure! The speed is fast and reliable including streaming music and videos. I've had no issues and would love to recommend to my friends. Here is probably one of the cheapest Wi-Fi rental shops in Japan. Great service. Everything worked perfectly. Highly competitive price and very reliable. wifi rental japan's pocket wifi made my 2-week-trip to Japan wonderful. I could use it all over Japan without having troubles. I was in Japan for business trip and used wifi rental japan's pocket wi-fi. It was easy to set up and everything went as described on website. Pocket wi fi was very helpful and I could be staying connected to the internet all the time. I moved from Sapporo to Tokyo, Osaka, and Kyoto and it worked flawlessly everywhere. Would definitely use wifi rental japan again next time. I went to Fukuoka and Okinawa and Wi-Fi signal was stable and reliable. I picked it up at hotel in Fukuoka and dropped it in post box in Okinawa for returning. Extremely easy to rent, use, and return. I had some troubles with connection so contacted to wifi-rental-japan's email by using airport wifi. I could get response within few minutes and they eventually sent me a new router. Of course they refunded one day rental fee which I couldn't use. Unlimited pocket wifi with very reasonable price. Free shipping was very impressive. Highly recommended. I ordered mobile router just one day before my arrival in Japan and could pick it up right after I arrive. The staff said it might not arrive on time but somehow I got it. If you need wifi urgently you may ask them first and will be able to rent one. wifi rental japan was very cheap compare to other rental shops. I didn't have to think about data limit and shipping fee. Very convenient and responsive. I was not happy about the fact that I need to change between advance mode and standard mode. It was not possible to use advance mode in subway or basement floor. I could use on standard mode but doing this all the time needed bit of care. Otherwise everything was perfect. The process was easy to deal with. We always use wifi rental japan when we travel to Japan and here never disappoints us. I chose Haneda airport JAL abc counter as pick up location and it was easy to find. I used it during my trip to Tokyo, and dropped it in a post box at Haneda airport. I had it delivered to my hotel. I could get reply within an hour when sent mail to the company to change pick up location.